About 25,000 people took part in the largest wave of protests in northern Russia since the 1990s. Construction of the huge landfill at Shies, deep into the forest near Arkhangelsk’s border to the Komi Republic, unites people from different parties, ecological groups and other public movements. «Garbage from Moscow can destroy not only the ecology at Shies, but also the larger nature of Arkhangelsk region,» says Alexander Feldt to the Barents Observer. He estimates the number of people in Severodvinsk who took part in the demonstrations this weekend to be 13,000. Main demonstrations were in the cities of Arkhangelsk and Severodvinsk, but local rallies also took place in 19 towns villages across Arkhangelsk Oblast and 27 other places in neighboring Komi Republic, Karelia and St. Petersburg. 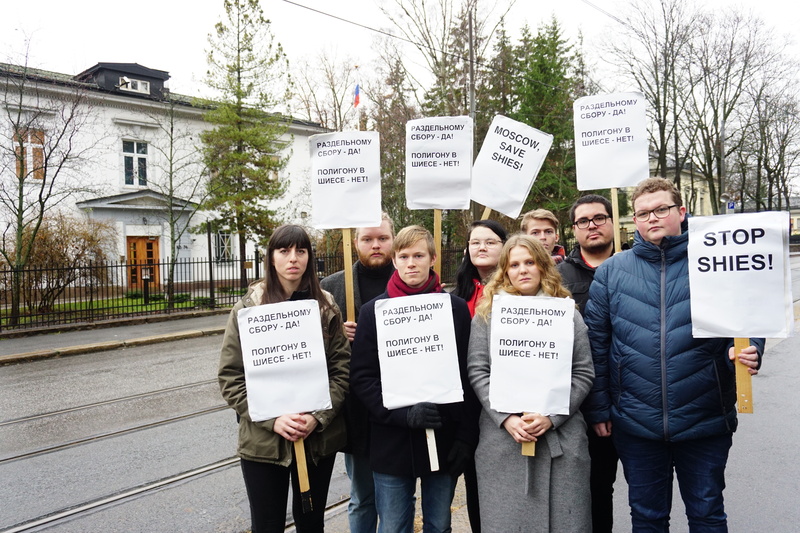 In Norway, the environmental group Nature and Youth made a on-site demonstration outside Russia’s Oslo Embassy. «We want to send a message of support and solidarity to all the people protesting the devastating waste dumps. Their protest is being noticed by the international community, and we are watching,» says Olav Aga with Nature and Youth to the Barents Observer. He calls on Russian authorities to listen to the demands by the people in Arkhangelsk. 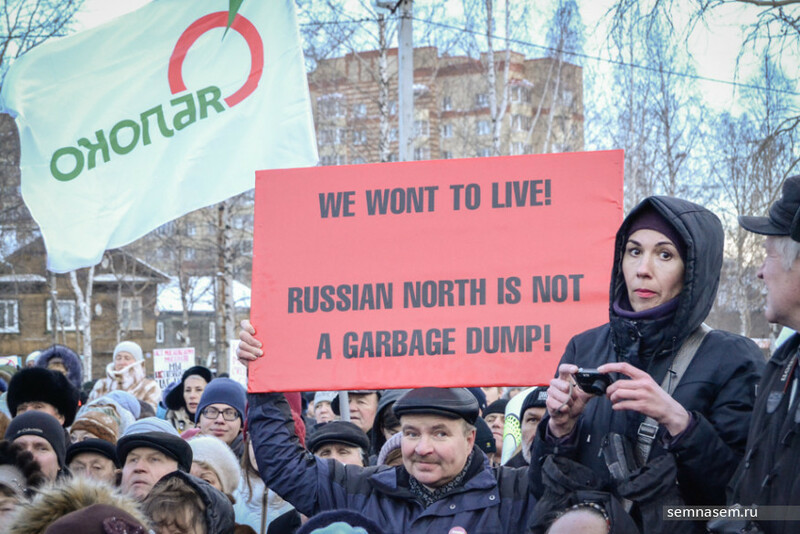 The message in northwestern Russia is clear: Moscow should take care of its own household garbage and start recycling. First phase of the ongoing dumpsite construction at Shies includes a 300 hectare site. When ready, that could handle about 6 percent of the volume of household waste from the Russian capital. Locals, however, fears this is just the beginning. «Recycling is expensive and difficult to organize. It is easier to make more and more landfills,» says Alexander Feldt. From Moscow, the waste will be transported up north by railway. «Ecologists say that the swamps in Arkhangelsk could be contaminated by pollution from the dumpsite and leak to the river system of Northern Dvina,» Feldt explains. Northern Dvina is the largest river in northwest Russia and flows north to the White Sea. The environmental conservation organization «Pomorie - No dumpsite» has published a map of 42 locations where protests took place on Sunday. Alexander Feldt believes there are good hope to stop Moscow’s plan for garbage dumping in Arkhangelsk. «The protests will continue. So yes, we hope for success, recycling the garbage with real modern technologies to save the nature,» Feldt says with optimism.